The ILO Global Business and Disability Network is a unique employer-led initiative that works to promote the inclusion of people with disabilities in workplaces around the world. Our members include multinational enterprises, national business and disability networks, and international not-for-profit and disabled people’s organizations. Through their work, our members demonstrate the clear business benefits of employing people with disabilities and highlight the valuable contributions they bring workplaces of all kinds. The ten principles of the ILO Global Business and Disability Network Charter provide a framework to help enterprises achieve business success while simultaneously creating equal opportunities for people with disabilities. The Charter Self-Assessment Tool can help you identify areas for improving your company’s disability inclusion policies and practices. Our Charter is the only one of its kind and affords global recognition to its signatories. Promote and respect the rights of persons with disabilities by raising awareness and combatting stigma and stereotypes faced by persons with disabilities. Develop policies and practices that protect persons with disabilities from all types of discrimination. Promote equal treatment and equal opportunities for persons with disabilities by providing reasonable accommodation in the recruitment process, on-the-job, apprenticeships, training, job retention, career development and other relevant terms and conditions of employment. Progressively make the company premises and communication to staff accessible for all employees with disabilities. Undertake appropriate measures to enable current employees who acquire a disability to retain or return to their employment. Respect confidentiality of personal information regarding disability. Consider the needs of those persons with disabilities who face particular challenges accessing the labour market, including persons with intellectual and psychosocial disabilities. Promote employment of persons with disabilities among business partners and other companies and collaborate with national employer and business networks on disability as well as with organizations working to advance the rights of persons with disabilities. Review regularly the company disability inclusion policies and practices for their effectiveness. Report on company efforts to promote the employment of persons with disabilities to all relevant stakeholders and share information and experiences with the members of the ILO Global Business and Disability Network. The ILO will utilize the company reports and practices in its own communication, wherever relevant. Webinar “Globalising Employee Resource Groups on disability”, 22 May.. Employee Resource Groups (ERGs) of workers with disabilities have proven to be a successful mechanism to make the needs of employees with disabilities heard and addressed in companies where these ERGs exist. 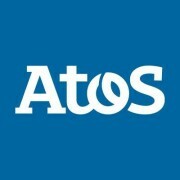 Multinational enterprises with disability ..
Webinar “Affirmative Recruitment Practices”, 27 March 2019, 9am R..
To harness the business benefits of disability inclusion, companies proactively remove barriers in their recruitment practices to ensure inclusive experiences for everyone, including people with disabilities. Accenture and the Australian Public Se.. The ILO Global Business and Disability Network (GBDN) will hold its 6th annual meeting on 2nd and 3rd December 2019, at the ILO headquarters in Geneva, Switzerland. Please check back for more information, including with regards to the programme an..